Sleepy Baby's intensely intimate, tightly cropped scene alternates between areas of closely observed naturalism and sketchy, abstracted passages. 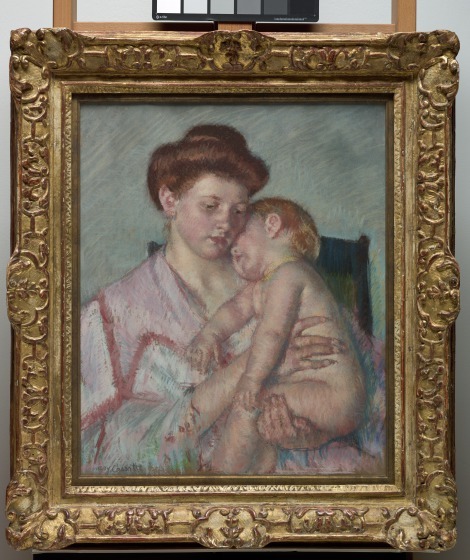 Mary Cassatt's spatial experimentation, interest in contemporary subject matter, and extraordinary facility with the medium of pastel, led her to being invited to exhibit with the impressionists beginning in 1879. 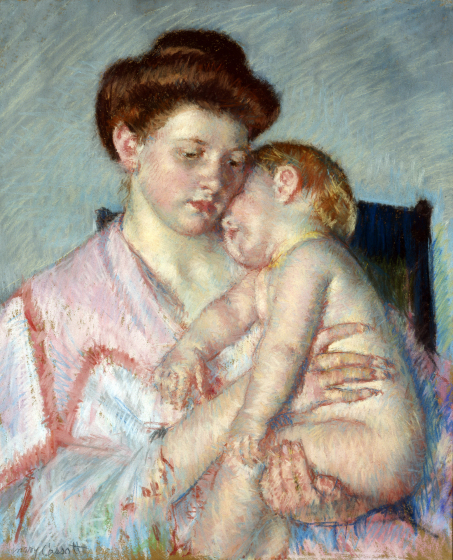 Beginning in the 1880s, Cassatt began to investigate themes of mothers and children. She knew family members and friends with young children, but she never painted them. Instead she chose rural women as her models, preferring their robust health and strength to Parisian views of beauty. Her compositions recall Renaissance paintings of the Madonna and Child, and in a letter defending her choice of models, Cassatt reminded her correspondent that even Sandro Botticelli used peasant women as his model for the Virgin. 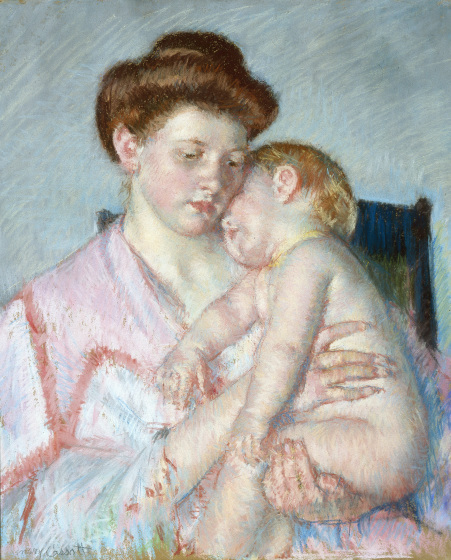 Sleepy Baby is the last of five pastels Cassatt devoted to this theme during the early 1900s. 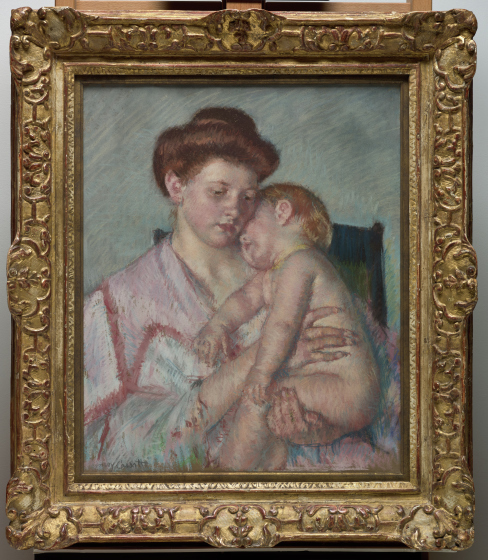 Cassatt considered these late pastels among her best work in the medium, the short, staccato strokes of chalk animating the surface. 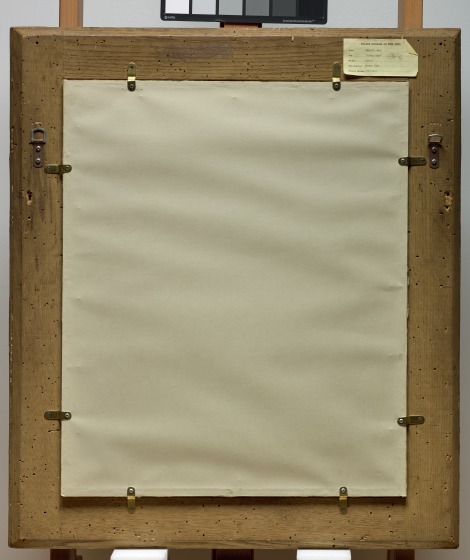 Ultimately, the series of five works became one of the last completed by the artist, as not long afterward she began to suffer the effects of double cataracts. Although this work has been called John Asleep, Resting on his Mother's Shoulder, neither mother nor child has been identified. 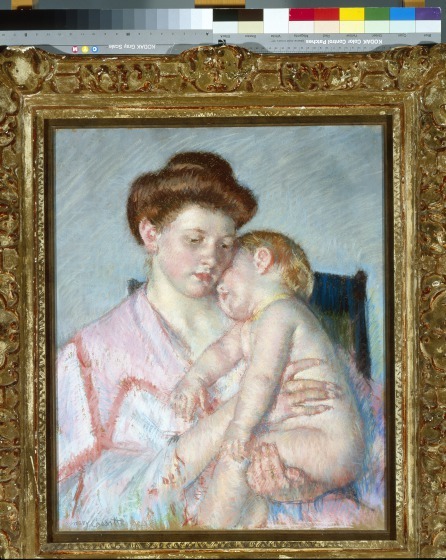 Read William H. Gerdts' informative review of the 2008 exhibition, Mary Cassatt: Prints and Drawings from the Collections of Ambroise Vollard (2008, Adelson Galleries, New York, NY).